When players visit a traditional land casino, they will find all types of games, with the majority being slot selections. 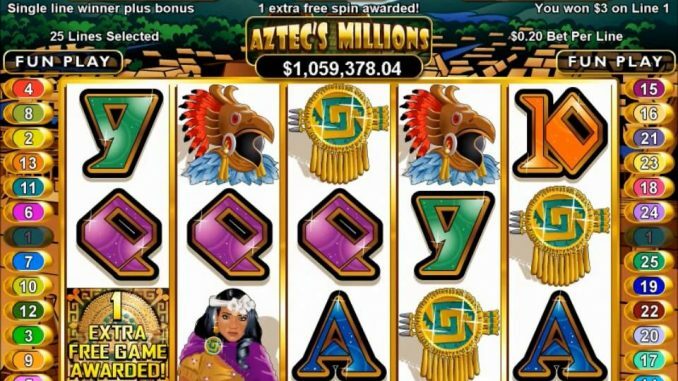 These slot games offer great chances to win, however, with the offering of online casinos, players find the games to be much more interesting and offer higher payouts. With technology, the entire world of gaming has changed and online casinos are able to offer innovative games that have amazing features. These games are also complete with enhances graphics and animations, so they are quite appealing to gamblers of all ages. In order to continue generating revenue, casinos are always looking for ways to attract players and keep them coming back for all their gambling needs. There are many ways in which technology is being used to do this, and when players access online casinos like Casumo, they will see how this technology is being used and how it has changed how players access and enjoy their favorite games. The use of big data plays a huge role in the success of any casino and many casinos will make use of a loyalty card or program to collect data on the players that visit the casino. In addition to personal information, casinos will collect information on how much is being spent on games, when a casino is visited and even what games are being played the most by any particular player. This data is then used to generate rewards for the player in the form of loyalty rewards or bonus offers. Online casinos make use of big data all the time and the information collected lets a developer learn the playing patterns of any player that is a member. Big data is also often used for security measures. With advanced technology, casinos can track customers and this not only provides casinos with useful information but also provides players with a secure way to gable and the opportunity to collect some amazing bonuses and promotions from a gaming site. Many players have taken an interest in games that are developed with a virtual reality aspect and some casinos have developed amazing 3D games that offer interactions between the player and the game along with high resolution graphics. Virtual reality online casinos have also emerged and here, players can walk around the casino floor just as they would if they visited a land casino. They can view the different games and enjoy a more realistic gambling experience that provides the feeling of stepping into a casino setting. This is another area of technology that is used by casinos and since these venues are a business trying to generate revenue, they will any use of electronic documents and storage to help with the business management aspect of operating a casino. Over the years, keeping track of documents has been one of the main struggles faced by casinos, but with Enterprise Content Management, this has now become a simple thing to do and will allow a casino to place focus on other areas that will enhance the gaming experience. Technology is always changing and is it being applied to the world of gambling in many ways. Players who access online casinos will see these advances all the time, but there are also always being used at land-based locations. The world of gambling has changed in many ways and with software development, 3D and 4D games, virtual reality, and big data, casinos now have more to offer than ever.